Man's best friend will really appreciate you storing their treats in this airtight jar with the dog bone on the top. 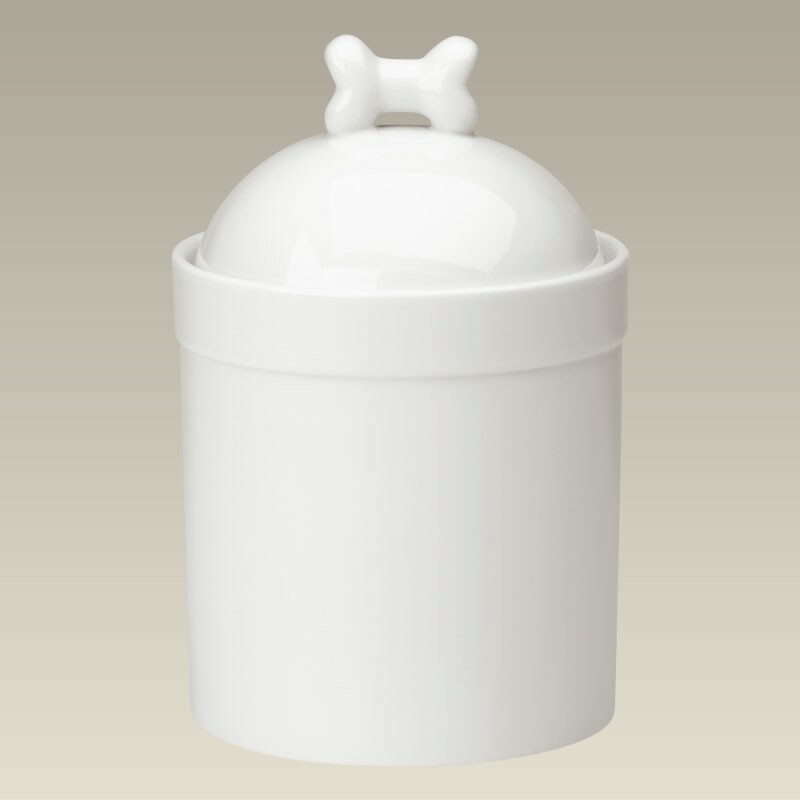 This beautiful porcelain jar measures 9" high and will keep Fido's goodies fresh and moist. Made in China, it's dishwasher safe. Please remove the silicone seal if decorating and kiln firing.